In the 1890s La Crosse, Wisconsin was a typical American river town. Wild and woolly, La Crosse was enjoying a booming prosperity; the market was growing rapidly and businesses were thriving. 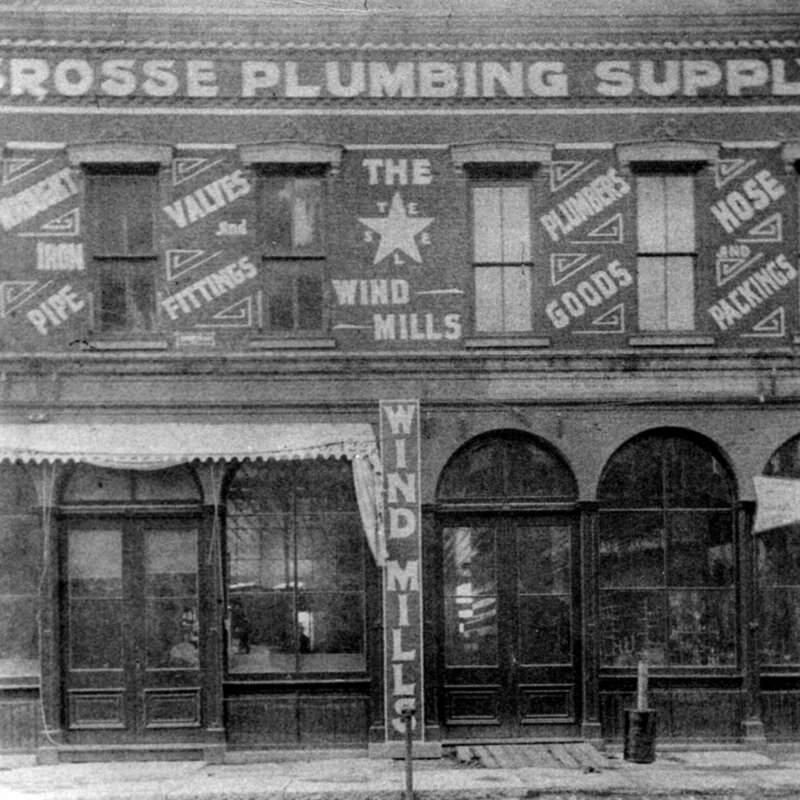 In 1897, three tradesmen, Reinie Wesson, Henry Poehling and Ed Roesler pooled their resources to answer La Crosse’s need for a new wholesale plumbing supplier. They opened the doors of their new business in 1898 and La Crosse Plumbing Supply Company was born. The company started by distributing wrought iron pipe, plumbing supplies, windmills, pumps and gasoline engines. The owners knew they had to be aggressive, so the young company covered the states of Wisconsin, Iowa, Minnesota and South Dakota. Several salesmen, traveling mostly by rail, ranged over territories that usually took one or two weeks to cover. Located at 122-128 South Front Street on the banks of the Mississippi River, the company had both a levee and a railroad track in its backyard. This allowed La Crosse Plumbing Supply to receive and send materials via steamboat and railroad. It was also common to see deliveries being made by the company’s fleet of horse drawn wagons. Like most delivery-oriented businesses of the day, the company had its own stable and stable hand to care for the animals housed there. 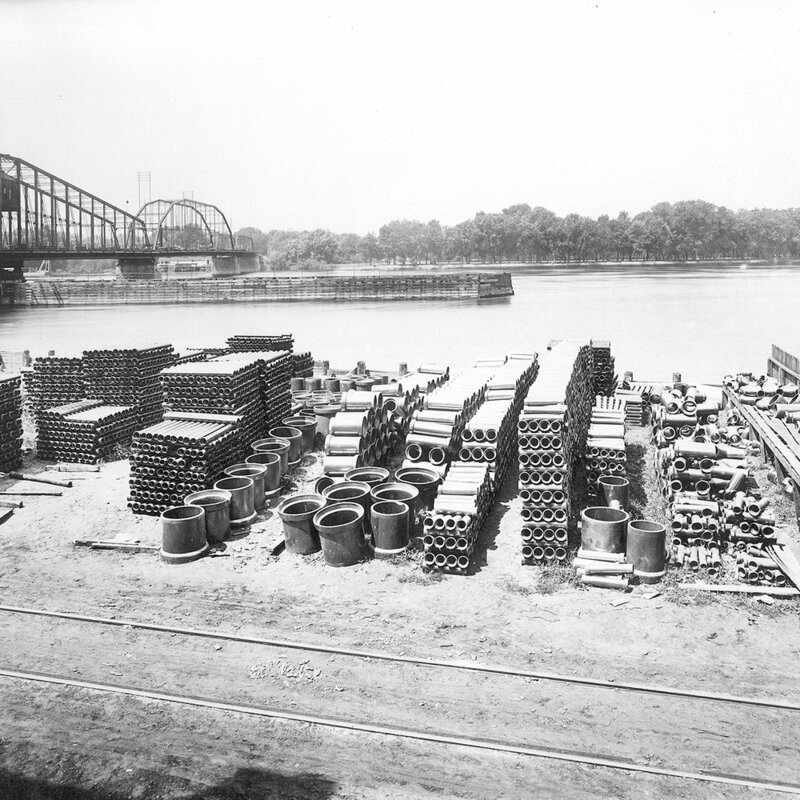 Just prior to the U.S. entering World War I in 1917, La Crosse Plumbing Supply was able to place a large steel pipe order that provided capital for two early subsidiaries. The first was the Cypress Stock Watering Tank Company and the second was the Star Windmill Company. Star Windmills can still be seen dotting the Midwestern countryside. In the early thirties, the Great Depression made things tough for most businesses. Building was at a standstill and jobs were scarce. Once again, steel played an important part in the company’s future; La Crosse Plumbing Supply secured an order for the underground work at Fort McCoy during the buildup for World War II. This provided a larger-than-normal base allocation for steel and meant La Crosse Plumbing Supply was able to obtain material throughout the war years. The business thrived and funds were available for future growth. In 1951, the time was right for expansion. Eau Claire Plumbing Supply Company was built and opened mirroring La Crosse Plumbing Supply in both goods and services. Today the Eau Claire facility occupies the equivalent of two city blocks and serves a large part of the Northwestern area of Wisconsin. Wisconsin Supply Corporation was opened on Mifflin Street in downtown Madison, Wisconsin in 1960. The original Wisconsin Supply had roots dating back to the mid-1800s and at one time had operated as a foundry that manufactured cannon balls for the Union Army during the Civil War. 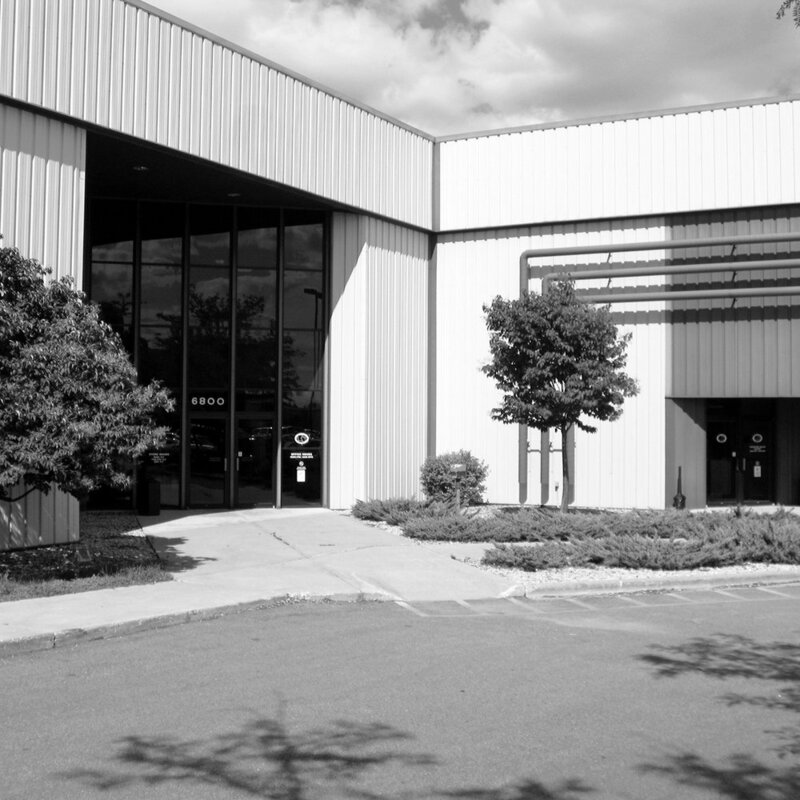 In 1990, Wisconsin Supply became the largest facility in the company when it built and moved to a new location housing 131,000 square feet of offices, warehouse and showroom. Located on Madison’s busy beltline highway, Wisconsin Supply is a model for the industry... modern, efficient, in step with the needs of a progressive, growing Madison and able to service a large area of southern Wisconsin. Back in La Crosse, flooding, urban renewal and a need for more space provided the impetus to make a move to 212-216 South Front Street. La Crosse Plumbing Supply’s new location featured a plumbing division and heating division but the added size was only enough to keep the company in that location for a few years. In 1970, La Crosse Plumbing Supply moved to the present location at 106 Cameron Avenue, with 86,000 square feet of offices, warehouse and showroom, plus acres of barge yard and pipe yard. Over the years, the showrooms within each company had changed and grown. By the 1960s, plumbers could send their customers to each showroom to select plumbing fixtures and fittings, kitchen and bath cabinetry, whirlpools and many other products for building and remodeling. In 1987, a decision was made to give the showrooms their own, separate identity. All showrooms were named “Gerhard's” to honor Gerhard Poehling, who retired in 1980 and passed away in 1998. With an ever-growing list of facilities, the company needed to consolidate operations and enhance its purchasing power as a group. Therefore, during the late 1980s, La Crosse Plumbing Supply and its branches were officially known as the La Crosse Plumbing Supply Companies. In 1988, Rochester Supply Company opened its doors for business, becoming the fourth facility and the first outside of Wisconsin. Located on Rochester, Minnesota’s busy west side, the facility grew rapidly. Remodeling in both 1992 and 1994 has expanded Rochester’s existing building to 54,000 square feet. Since opening, Rochester Supply has more than doubled in size. In 1990, two more locations were opened: one in Northern Illinois and the other in Southern Milwaukee, Wisconsin. Rockford Supply had been a well-known heating and cooling supplier in Northern Illinois, family owned and operated as Warm Air Supply. Over its first two years, it made a rapid transition to its present status as a supplier of plumbing, heating and air conditioning, well supplies and municipal/industrial supplies. Growth continued and in 2003, Rockford Supply moved to its present location in Machesney Park. Just months later, the doors were opened in Oak Creek, Wisconsin. First Supply Milwaukee had originally operated as a small office with an aggressive sales staff and daily deliveries from Wisconsin Supply in Madison. Then, in October of 1992, a groundbreaking took place and construction started on a modern warehouse/office facility for First Supply Milwaukee. A major addition to the new facility was added in 1994 and again in 2006 more than doubling the size of the original facility. In 1997 as preparations were underway for celebration of the company’s 100th birthday, the company made its largest change to date. The acquisition of the W.S. Patterson Company added four more Wisconsin branches in Appleton, Green Bay, Rhinelander and Wisconsin Rapids. W.S. Patterson started his company to supply plumbing and heating supplies to Appleton, Wisconsin in 1882. This was the same year that the forerunner to our modern toilet was invented and was called the “valveless water waste preventer.” The Patterson Companies had long been a solid industrial force. This industrial expertise, coupled with the geographic advantages of the Patterson locations, helped expand the entire company’s market and service area. In August of 1997, another significant announcement was made... the La Crosse Plumbing Supply Companies became First Supply Group. Each location has retained its own identity, but now all operate under the corporate umbrella name of First Supply Group. In 1998, Kretschmer-Tredway in Dubuque, Iowa was purchased. A company rich in history itself, Kretschmer-Tredway was started in Dubuque in February of 1907, by brothers, Herbert and Fred Kretschmer. Until 1936, Fred Kretschmer guided the company as President. From 1936 to 1944, Mrs. L. A. Kretschmer acted as President, being one of the few ladies to hold such a position during that era. 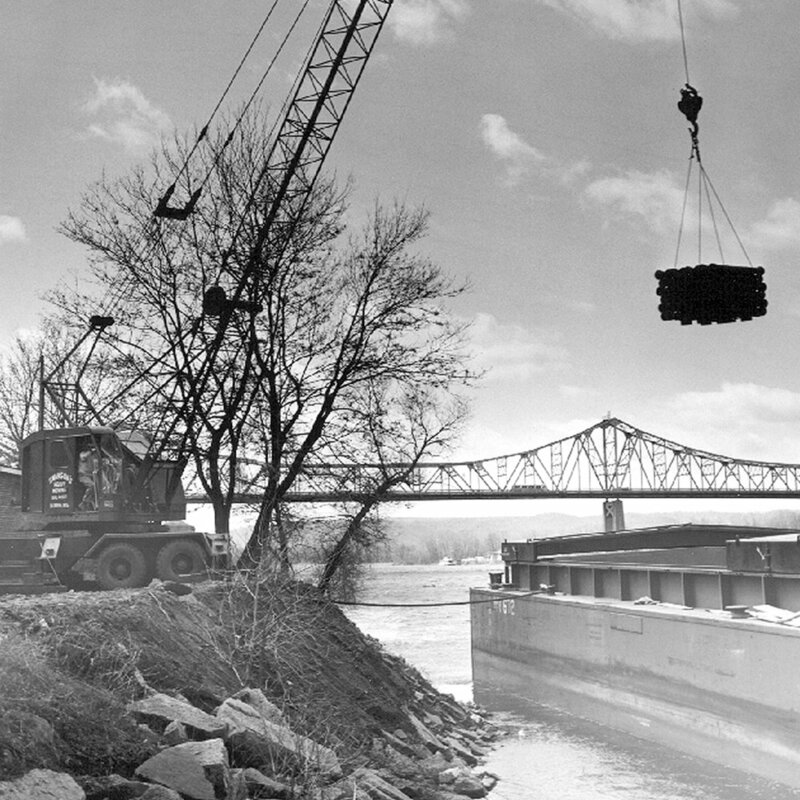 Now known as First Supply Dubuque, it became the first Iowa facility for the corporation. The successful facility continued to grow and in March 2007 relocated to its current location on Chavenelle Drive. In 1999, First Supply Owatonna was opened in Owatonna, Minnesota. An ideal location, Owatonna is on a direct line between Rochester and Mankato and is served by Minnesota’s busiest and largest North-South travel artery, Interstate Highway 35. In January of 2000 First Supply Group made Pumpco of Minnesota its most recent branch and is now First Supply Brainerd. With a knowledgeable sales staff and customer service above all, First Supply Brainerd, a leader in the water well, septic & irrigation distribution industry; will continue to build our expertise to provide our customers with the best products, service and prices possible. In 2004 the Wisconsin Rapids facility relocates to Plover, Wis. In 2005, another important announcement was made ... First Supply Group standardizes naming of all locations to First Supply. Each location operates as First Supply® and becomes part the First Supply family of companies. For several years, First Supply continued to grow and add facilities serving Southeastern Wisconsin. Its West Bend location opened in 2004 and on March 22, 2010 relocated to Lang Street. On May 23, 2005, the Glendale location opens its doors which later merged with neighboring Brookfield. The acquisition of Thomas Supply Company on June 10, 2005 opens Racine which moved operations to 21st Street on December 10, 2007. In 2006 two more facilities open: Janesville on June 5 and Delavan on November 2. In June 2006 the Rhinelander, WI. facility moves into its new location on Forest Loop Road. First Supply, once again, opens facilities outside Wisconsin. The acquisition of Sherman’s Plumbing Supply of Winona, MN makes way for Winona which opened May 1, 2006. First Supply later moved its Winona location to a building a block away in August of 2010 opening as a new self-pick concept store filling the need for a quick, well stocked and efficient one-stop-shop for that market. Cedar Rapids opens on February 5, 2007 to become the second facility in Iowa. Growth continues as First Supply makes the second largest change in its history. The May 1, 2007 acquisition of The H.W. Theis Co., Inc. adds three more branches in Brookfield, Burlington and Oshkosh, Wisconsin. Henry Theis began his career in the plumbing industry as an inventor. Henry developed the Theis ballcock which had a removable seat reducing cost of repairs and the need to replace the entire ballcock when the seat wore out. Henry wanted to try his hand in distribution so he and his son, Henry Jr., on June 15, 1927, began The H.W. Theis Co., Inc. becoming a top commercial distributor in Milwaukee and the surrounding area. Late 2008 the Burlington location merged with Delavan. The acquisition of PH&I Supply Co. in June 2007 brings 60 years of service in Kenosha into the First Supply family. Southeastern Wisconsin now offers a multitude of convenient locations to better serve its customers. First Supply opened doors at its newly built facility in Platteville, WI in July 2007. In March of 2008 two additional locations opened... A newly built facility in Tomah, WI and an HVAC focused Twin Cities locations located in New Brighton, MN. On February 18, 2013, the Twin Cities location moved to a new, larger facility located in South St. Paul, MN and expanded its offerings to include all products available from First Supply. On July 12, 2010 First Supply added a second Illinois location in Freeport on 115 E. South Street servicing customers west of Rockford and covering central and western areas of the state. On August 30 of the same year, First Supply acquired the assets of J.J. Koepsell Co., also a Wisconsin based family owned plumbing distribution company, with roots dating back 120 years. First Supply now offers the Fox Valley area four great locations to better serve its customers. In addition, a nearly 4,000 square foot Gerhard's showroom gives First Supply another Premier Kohler Showroom to serve our area customers. First Supply in Kenosha moves to 9016 58th Place, Suite 400 on September 14, 2015. On July 5th, 2017, First Supply opened its doors in the Wausau market at 5506 Sternberg Ave., Suite B, in Weston, Wisconsin. First Supply locations in Cedar Rapids and Brookfield move to new locations in 2018 (September 24: 120 50th Avenue SW, Suite 100, Cedar Rapids, IA 52404 and December 10: 12440 W Robin Lane, Brookfield, WI 53005). Gerhard's Kitchen & Bath Store is the largest and most versatile kitchen and bath showplace in the Midwest. We offer a huge variety of kitchen and bath choices from contemporary to traditional styles, along with service you just can't find anywhere else. Visitors to Gerhard's will view complete kitchen and bath suites, many of them working models. In 1940, Henry Poehling’s son Gerhard, who had worked both as a truck driver and warehouseman, took over the business. Gerhard Poehling was an innovative and visionary leader. He created La Crosse’s first showroom for plumbers to view new products. First Supply operates showroom in Wisconsin, Minnesota and Iowa featuring the most up-to-date home products on the market. These showrooms provide an effective and essential sales tool for contractors by providing building and remodeling customers the opportunity to personally see and select the products they want for their home. Product offerings range from faucets and sinks, whirlpools, bathtubs, toilets to cabinetry. Many of these products are beautifully displayed in vignettes. 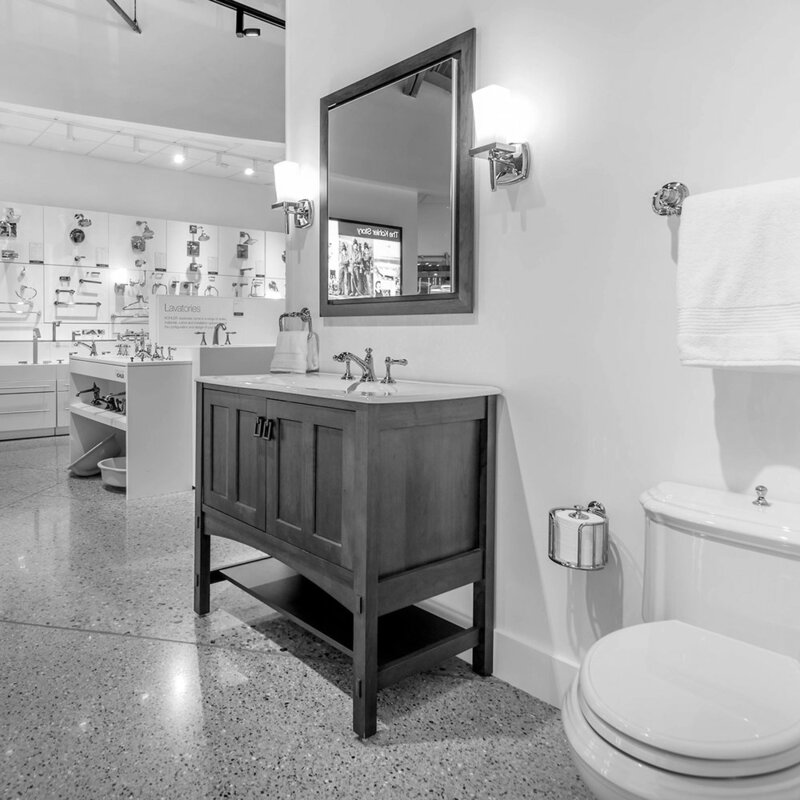 In November 2010, Gerhard's in Brookfield launched Wisconsin’s first Next Generation Premier Kohler® Registered showroom, a brand new take on product design and demonstration – incorporating global trends and an enhanced consumer experience. On May 6, 2017 the Brookfield location moved to Delafield, Wisconsin in the Williams Towne Center. With a strong, long-lasting history of bringing products to homeowners and the trade through trusted distributors, KOHLER heightens its accessibility with the opening of the first KOHLER Signature Store in Edina, Minnesota on April, 21, 2012. Solely owned and operated by First Supply, this kitchen and bath showroom provides a distinguished KOHLER experience where designers and homeowners can get hands on with hundreds of products, take advantage of expert consultation services and step into fully designed suites featuring products exclusively from the KOHLER brands: Kohler, Kallista, Robern, Ann Sacks tile and Kohler custom vanities. On February 25, 2013 First Supply acquired the KitchenCraft location in Minnetonka, Minnesota and transitioned it to a Gerhard's store. The switch from KitchenCraft to Gerhard's included a remodel to offer a full line of bath plumbing products along with cabinetry and countertops. Gerhard's in Kenosha moves to 7114 118th Avenue in September of 2015. An all new Gerhard's in Whitefish Bay, Wisconsin opened its doors on June 2nd, 2016 at 402 East Silver Spring Drive. Open seven days a week, this expansive store offers premier design services from an experienced staff and prides itself on building relationships with both trade professionals and homeowners. On September 10, 2016 the second KOHLER Signature Store opened at 2525 N. Mayfair Road in Wauwatosa, Wisconsin. In early 2017 the First Supply footprint expanded when it opened its third KOHLER Signature Store in Overland Park, Kansas. In the Spring of 2018 First Supply expanded its footprint into Michigan with the opening of the KOHLER Signature Store in Birmingham, MI at 724 N. Old Woodward Avenue serving the metro Detroit area. Click the button to visit our 120 Year Anniversary page from 2017. The first 120 years is history ... and the company now blankets the upper Midwest. Contractors in a large area can count on First Supply, a main channel supplier with key adjacent locations, complete inventories, fast delivery, unique services and a staff of industry professionals. Although much has changed through the years, the driving philosophy at First Supply remains the same as those days when deliveries were made by horse drawn wagons ... the customer relationship comes first. As the company looks forward to another century of growth, customers can count on another century of the best products and services in the industry from First Supply.